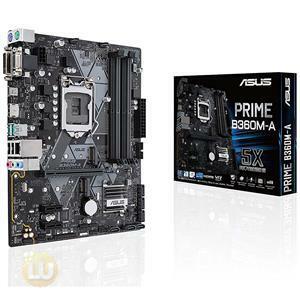 LGA1151 socket: Ready for 9th/8th Generation Intel® Core™ desktop processors. Perfected cooling with dedicated water cooling zones, M.2 heatsink and various fan control. Gaming connectivity: Intel Gigabit Ethernet, LANGuard, 2x2 802.11ac Wi-Fi, Dual M.2, USB 3.1 Gen 2 Type-A and Type-C™ connectors. Gaming Audio: SupremeFX and Sonic Studio III - High fidelity audio that draws you deeper into the action. 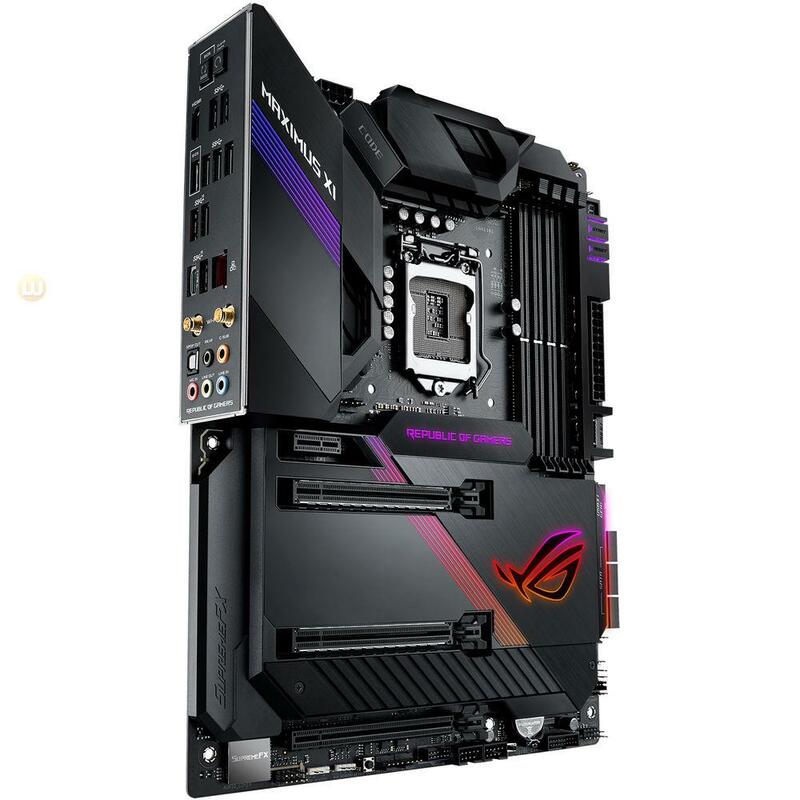 Gaming durability: ROG Armor, pre-mounted I/O shield and premium components throughout. 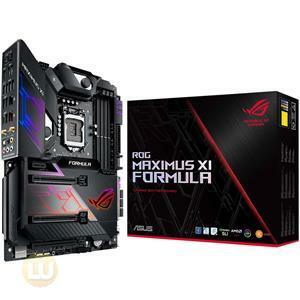 Inspired by the rich heritage that has bound the Republic of Gamers to the world of gaming, ROG Maximus XI Code brings together the finest ROG engineering in an understated form that offers all the expansion and personalization opportunities needed to create a distinctive custom rig. 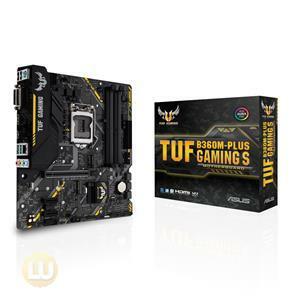 With a dedicated onboard clock generator, support for the latest high-performance memory, and cooling options to keep thermals under tight control, Code provides a potent foundation for your next gaming build. 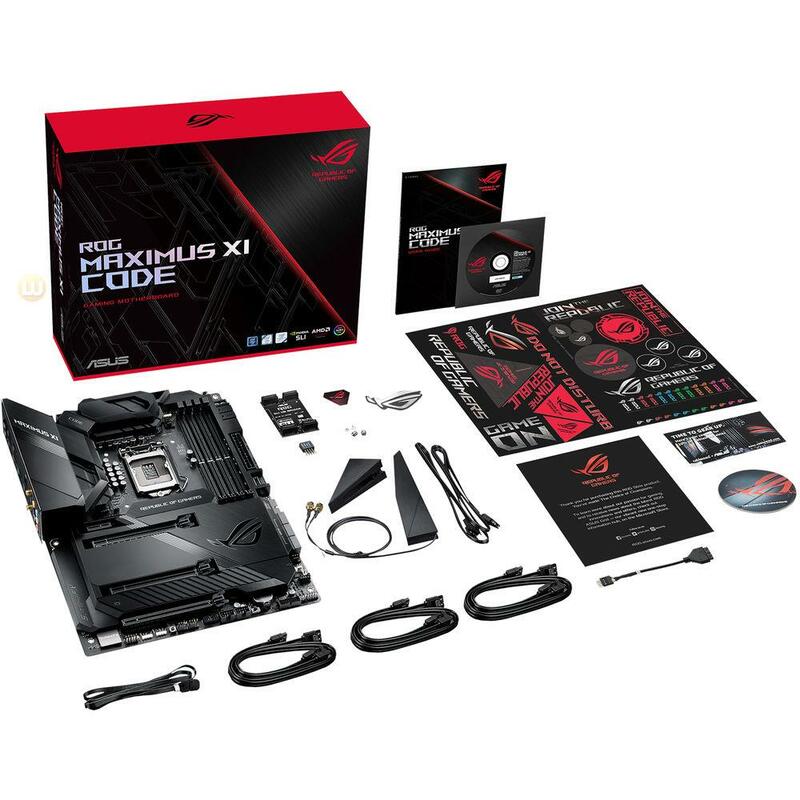 Fast, intuitive control is vital for effective command of your rig, so we've loaded ROG Maximus XI Code with simple, flexible tools that let you tweak almost every system aspect. 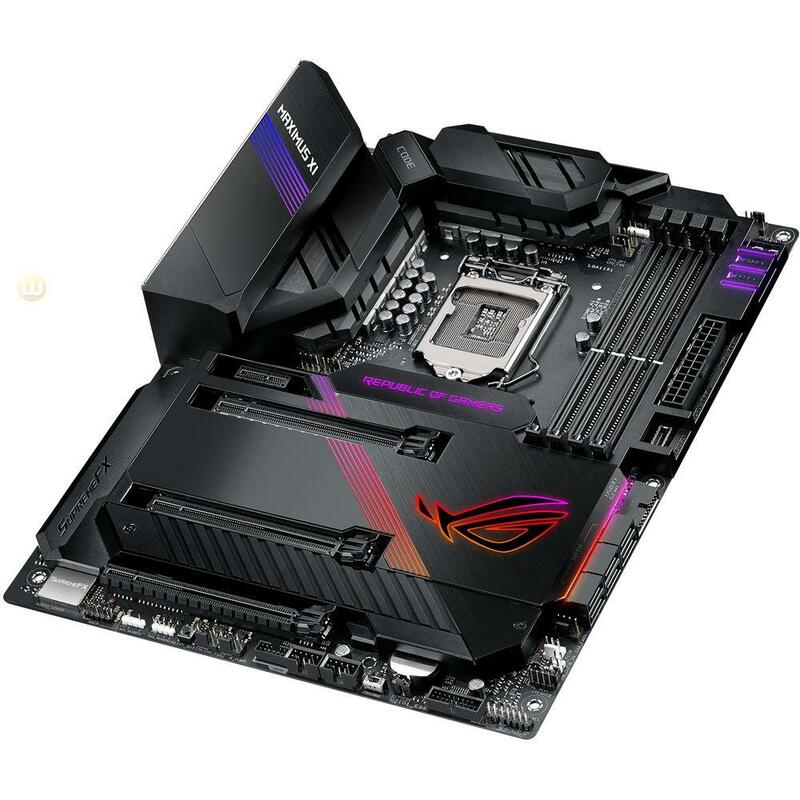 Enjoy intelligent automated tuning with 5-Way Optimization technology, or dive deep into the revered ROG UEFI BIOS to take full manual control. Code also makes short work of fine-tuning everything from audio to storage, so it's easy to get every part of your system up to speed. 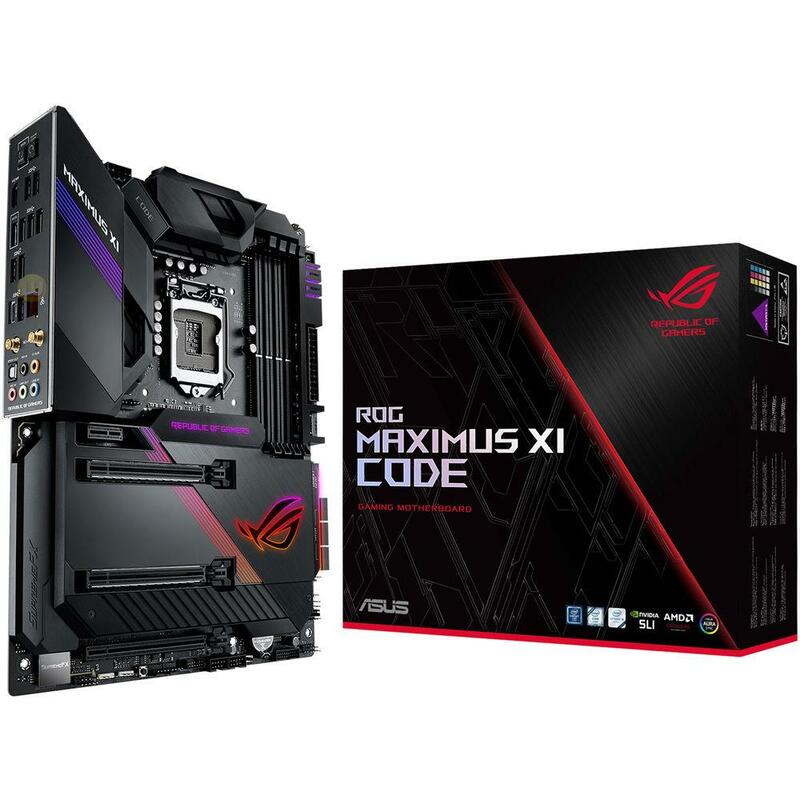 With Aura Sync to unleash synchronized effects that extend from motherboard to a vast ecosystem of compatible components, ROG Maximus XI Code is primed for endless personalization. 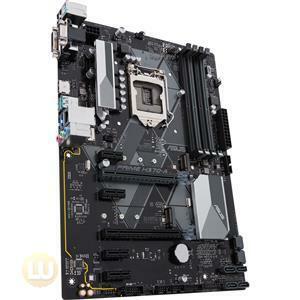 This motherboard supports Socket 1151 for 9th Gen and 8th Gen Intel® Core™, Pentium® Gold and Celeron® processors, with integrated graphics, memory and PCI Express controllers to support onboard graphics output with dedicated chipsets, dual-channel (4-DIMM) DDR4 memory and 16 PCI Express 3.0/2.0 lanes for great performance. 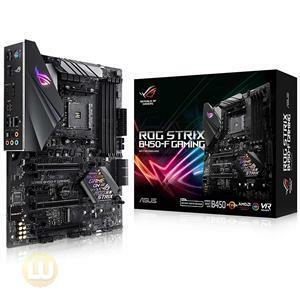 The Intel® Z390 is a single-chipset design that supports Socket 1151 for 9th Gen and 8th Gen Intel® Core™, Pentium® Gold and Celeron® processors. It provides improved performance by utilizing serial point-to-point links, allowing increased bandwidth and stability. 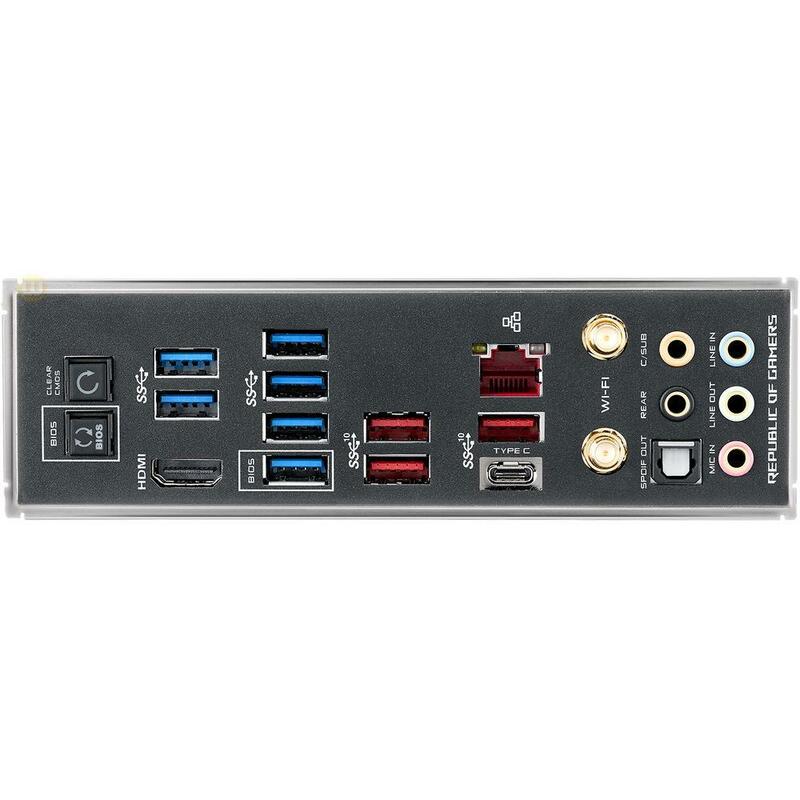 Additionally, the chipset provides a maximum of six USB 3.1 Gen 2 ports, four USB 3.1 Gen 1 ports, and 32Gbps M.2 and PCIe 3.0 lane speed support, for faster data retrieval. 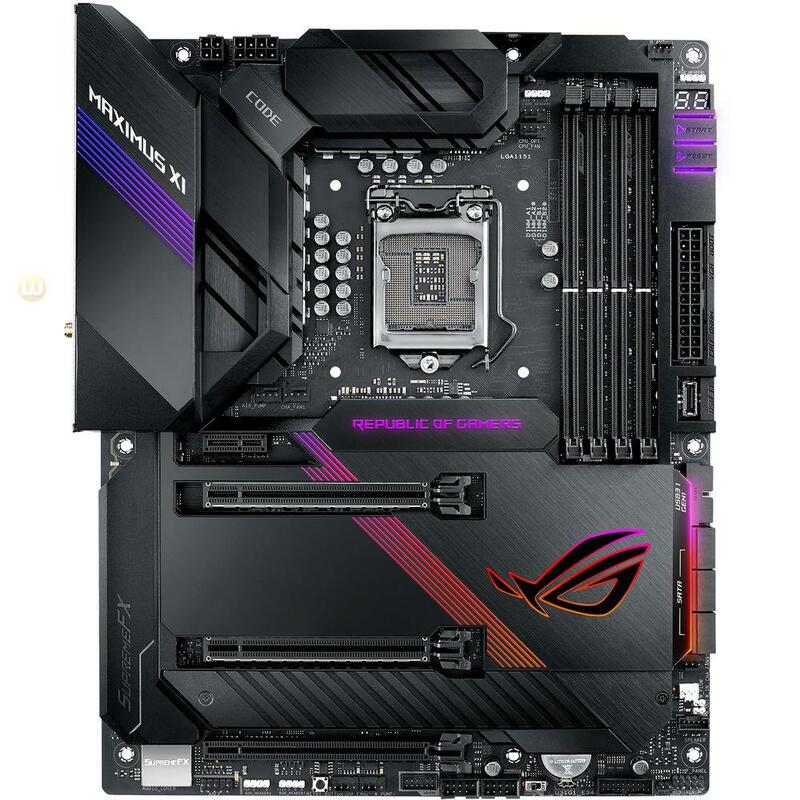 Intel Z390 also supports integrated-graphics, so you'll enjoy the very latest in graphics performance.